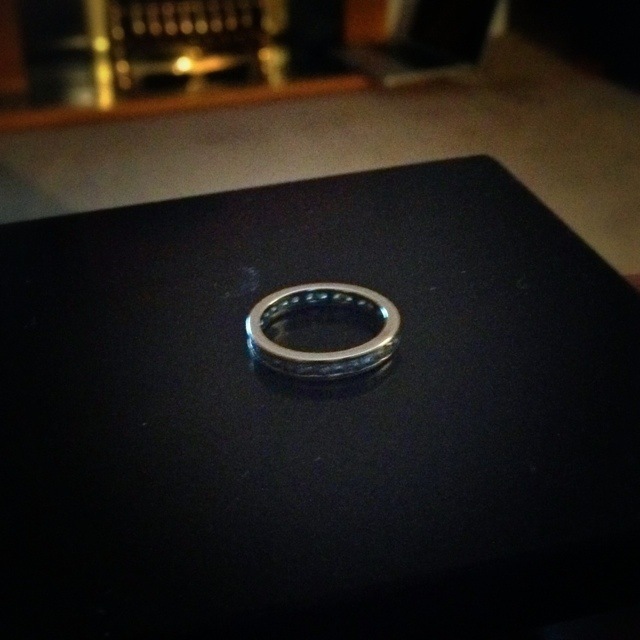 I was struggling to find something to photograph after an altogether uninspiring day, and Wendy suggested the ring that I bought for her four years ago. She really likes it, and wears it all the time… though, of course, ensures it doesn’t impede her excellent hand hygiene at work! This 1,648th post was filed under: Photo-a-day 2012.